For Von Sternberg, his exacting methods of shooting and fussing over lighting (the director often shot much of his films even when not credited as the cinematographer) were frequently described as torturous even by his most ardent admirers and no doubt contributed to his marginalization. In Dietrich’s case, the angular quality of her face—always softened immensely by Von Sternberg’s flattering lighting setups—grew harsher as she aged, proving problematic as she transitioned from star to supporting player in films. 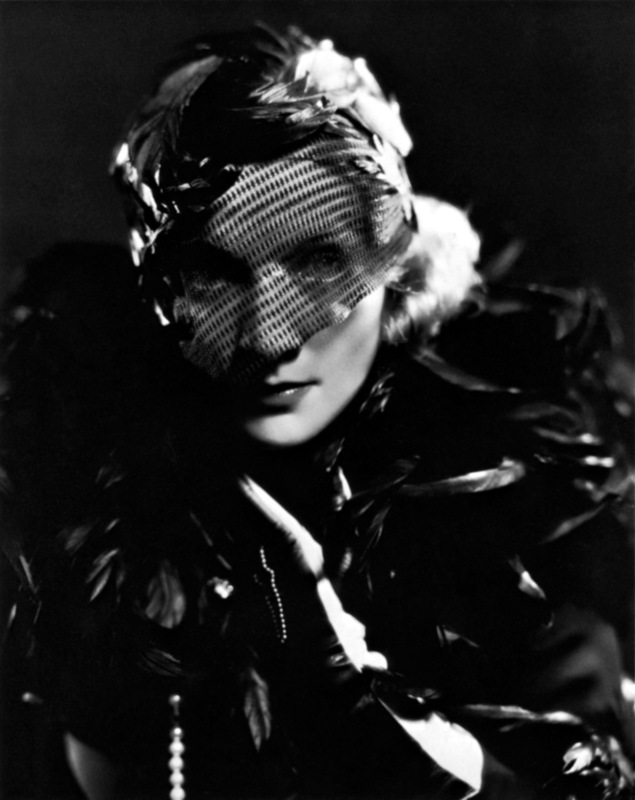 The exoticism which Von Sternberg captured from Dietrich became less mysterious and more threatening. Just compare her enticing allure in their first collaboration, The Blue Angel (1930)—in which her cabaret dancer accidentally seduces a respected teacher (Emil Jannings)—with her lethal severity as the Spanish Concha in The Devil Is a Woman (1935), Dietrich and Von Sternberg's final outing together. Concha plays a man-eater who delights in the figurative castration of her male suitors. Dietrich's carefully made-up lips (painted thicker to mimic fullness) and thinly penciled eyebrows—applied at an exaggeratedly high angle—enhance the natural angularity of her face, which looks like it could cut glass here. One can't help but wonder if the evolution of Dietrich's screen persona reflected the relationship between actor and director. In any case, as Von Sternberg's star was falling, Dietrich's ascended. 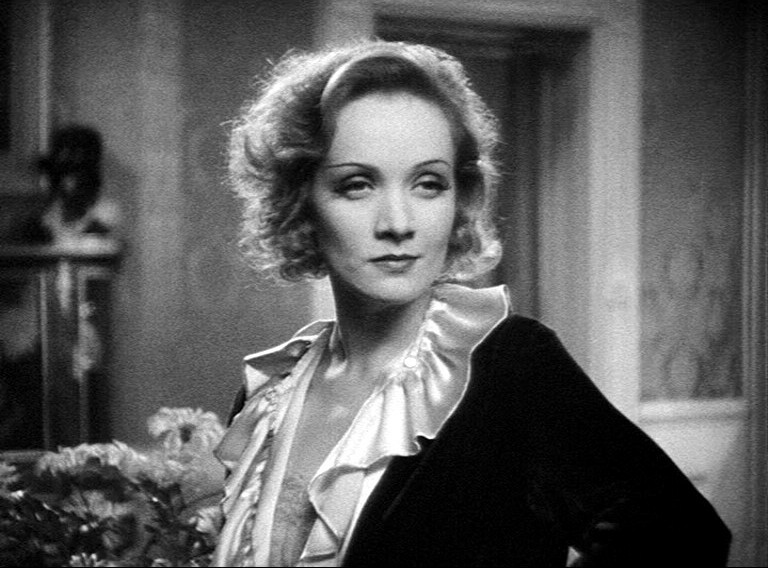 Up until now, only five of these seven films were easily obtainable in the US, but this week, Universal finally released the last two—Dishonored (1931) and Shanghai Express (1932)—as part of TCM's exclusive Vault Collection in a two-disc set called Marlene Dietrich Directed by Josef von Sternberg. Of the two films, Shanghai Express has been the most easily available for viewing. I first watched Shanghai Express at a Miami Beach revival house in 2010, and it often shows up on the Turner Classic Movies schedule. Being the very middle film in Von Sternberg's seven-film partnership with Dietrich, it is appropriate that Shanghai Express is the creative zenith of their collaboration. Shanghai Express is equal parts style and substance—its chiaroscuro cinematography, elaborate production design, and gorgeous costuming all perfectly utilized as a vehicle for its quite uncomplicated plot. In Shanghai Express, characters of various countries, backgrounds and social classes (a dream ensemble that includes Eugene Pallete, Gustav von Seyffertitz and Anna May Wong) are thrown together with Dietrich's beautiful but enigmatic Shanghai Lily on a train traveling from Peking to Shanghai. Things get much livelier when the train is stopped by revolutionaries under the command of Oland's despicable Chang. Oland, who would achieve stardom as screen detective Charlie Chan, plays Chang with an intimidating menace—what he lacks in an imposing physique is more than made up for in his sharp wits. Veteran cinematographer Lee Garmes (The Lusty Men) perfectly balances the hypnotic dreaminess of this strange, cinematic version of China with a richly detailed visual texture that seems to crystallize the significance of each moment. For instance, the way-station that Chang hijacks for his interrogation is rife with decaying wooden slats doubling as blinds. Pools of light are crisscrossed with shadow in the background, causing any film extras (supposedly this movie counted 1000 extra players) who walk towards the back of the set to recede and be enveloped by the shadows; and the lead cast is dressed either in extremely dark or light colors, causing them to pop against the same backdrop. Von Sternberg’s tendency to place objects in the foreground of each shot gives each setup even more depth. And Travis Banton's stark, black gowns for Dietrich single her out even more prominently than the rest of the cast. Even in the darkest room, and wearing the blackest gown, Dietrich still stands out because of the unnatural white glow of her face, lit as if from a heaven-sent spotlight by Von Sternberg and Garmes. Dietrich is transcendent as Lily, fulfilling the promise seen in her earlier role as Amy Jolly in Von Sternberg's Morocco (1931). This is a loose woman, yes, but one who still longs to be a part of someone's world even if society has made her an outsider. That this someone she'd like to share her life with—stalwart British medical officer Doc Harvey—is played by the wooden Clive Brook is a disappointment. I thought Brook's stiffness in an earlier film, Von Sternberg’s 1927 silent Underworld, could be attributed to that period's prevailing acting style. But no, Brook is indeed flat, achieving what I would have once thought impossible: making the stoic Gary Cooper (Dietrich’s costar in Morocco) look positively hammy in comparison. Oh, what Dietrich might have been like opposite Cooper, once a rumored lover. Still, Dietrich is at her most enchanting in Shanghai Express, playing the epitome of the kind of broken, but still tenacious, woman she would always play for Von Sternberg. As is generally the case, one is often left to ponder who really has the upper hand in any romantic brinkmanship involving a Dietrich character. Late in the film, when Dietrich gives in to the temptation to visit Harvey's cabin after essentially dismissing him from her life a scene earlier, it seems that Harvey is winning. "You appear to be nervous. Sleep would do you more good," prescribes the good doctor. Lily, dressed in a seductive black nightgown, responds, "What makes you think I'm nervous?" "For one thing, your hands are trembling." "It's because you touched me, Doc," says Lily, before rolling her eyes and leaving Harvey, who is now a sweaty puddle of regret. Back in her own cabin, Lily shuts off the light, and Dietrich's silvery tresses glow with an unattributable backlight. She raises a cigarette to her mouth, inhales and then blows the gauzy smoke out, as her hand begins to tremble even more intensely. In Dishonored, Dietrich plays X-27, a Mata Hari-like Austrian spy who falls for her nemesis, a Russian spy called Colonel Kranau (Victor McLaglen). The usually voluble McLaglen (Gunga Din) gives as rigid a performance as Brook does in Shanghai Express, leading me to wonder how much of that may be Sternberg's limitations in directing male actors when distracted by Dietrich, his inarguable muse. 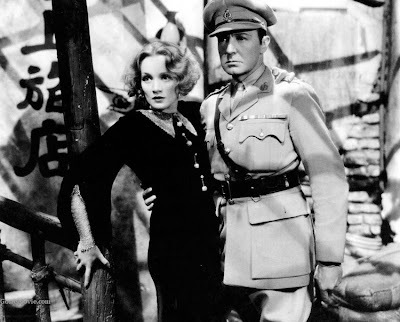 Though McLaglen's physical stature helps him stand up on screen against the blinding beauty of Dietrich (again wearing stylized costumes by Banton), there is none of the crackle that existed between her and Cooper in Morocco. Von Sternberg works with Garmes here as well, fine tuning their photographic partnership in anticipation of the Oscar the cinematographer would win for Shanghai Express. While Dishonored's look is a little bit inkier—its shadows and textures leaning more towards a muddle of blacks than the complexity of those found in their next project, Shanghai Express—it is fully in keeping with its subject of espionage. Oland and Von Seyffertitz also make substantial appearances here. Oland (looking a sight less Asian than I've ever seen him) plays a traitorous Austrian colonel that X-27 must expose on her first assignment, and Von Seyffertitz is the Austrian Secret Service Chief that recruits X-27 after encountering her as a streetwalker. With many of the same cast and crew, Dishonored feels more like a practice run for the pinnacle of the sublime synergy between Von Sternberg and Dietrich, Shanghai Express. But how can one fault any movie, even one as thin as Dishonored, when it features so many memorable touches. 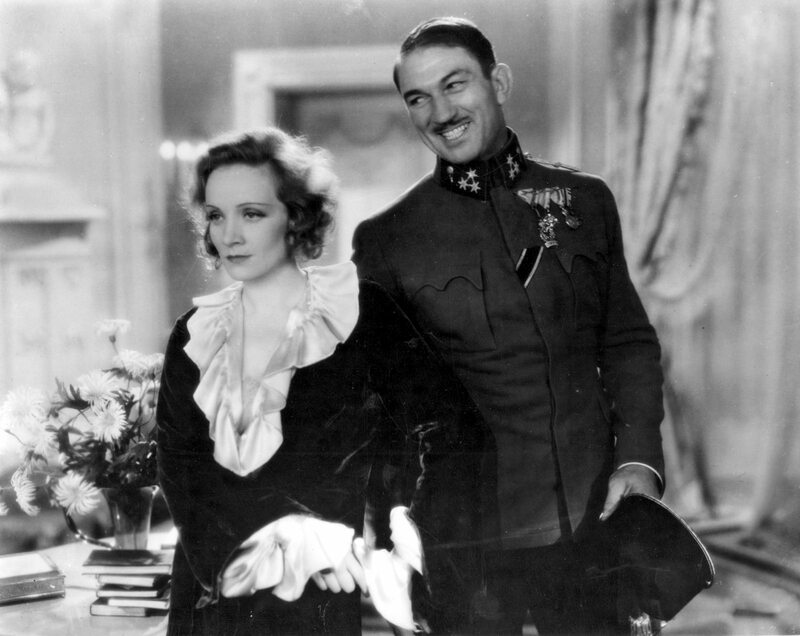 There is the visually dense masquerade party in which Dietrich first meets McLaglen and Oland—a forerunner of a similar fiesta in The Devil Is a Woman. And a scene where X-27 must reconstruct a musically encoded message destroyed by Kranau, playing the notes for her superiors, manically turning from the piano to put them on paper before she forgets. Or Dishonored's devastating finale, in which X-27, having betrayed Austria in the name of love, faces down a firing squad (but not before she asks for a moment to put on some lipstick). Most affecting of all, though, are the exceedingly slow dissolves in which Von Sternberg holds two images onscreen simultaneously, a visual trademark of the director's that, compared to any of his other films, seem to go on for an eternity here, granting Dishonored a more hallucinatory cast than usual. Both films look as best as I expect they can in this new DVD release. I don't think its unreasonable to speculate that Universal may not have had all of the original elements for each film, given their pre-code release timeframe. Evidence of this exists in one scene of Shanghai Express where Oland interrogates a French passenger. In the half-dozen times I've already seen this movie, it always skips over the Frenchman's explanation as to why he is wearing an officer's uniform despite having been dishonorably discharged from military service, and here, it is no different. TCM does an outstanding job of supplying archival material such as publicity stills, behind the scenes photos, lobby cards, posters, etc. And Dishonored includes a lengthy and well-sourced article written by Movieline's Stephanie Zacharek for TCM's online database. [The first half of this post, reviewing Shanghai Express, is a reworking of a previous magazine column in which I proposed a DVD for the (at the time) still unreleased film. The column ran in the 8/10/11 issue of Nomad Editions Wide Screen. What great news that 'Shanghai Express' is finally out on a US-version DVD. Dietrich probably looks more gorgeous here than in anything else she ever did. I loved your descriptions of Garmes' cinematography in both films; you give an evocative sense of how dreamlike and sustained in time von Sternberg's films can be.